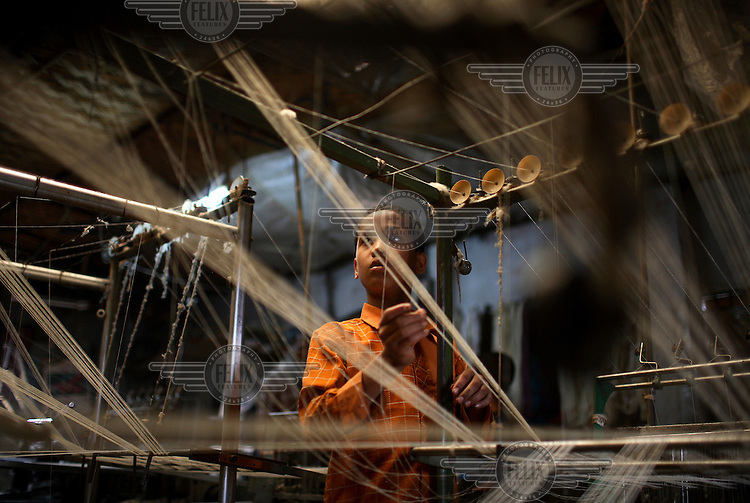 Child working in a textile factory in Dhaka. It is common in Bangladesh for children of poor parents to work in various hazardous and labour-intensive workplaces to support their families. 17.5 percent of all children aged between 5-15 are engaged in economic activities. The average child labourer earns between 400 to 700 taka (1 USD = 70 taka) per month, while an adult worker earns up to 5,000 taka per month..